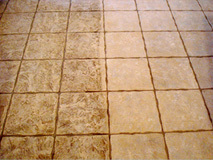 Why choose TRUST Carpet & Tile Cleaning over any other cleaning company? We’ve put SERVICE back into the carpet cleaning industry. We always want to leave our customers with a good service experience and not feeling like they got taken or were not satisfied with the service performed in their home. 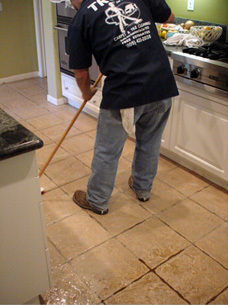 Our customers will always get a uniformed, well-trained IIRC certified technician to perform the cleaning in their home. We will always pre-inspect your carpet and furniture and address any concerns you may have. 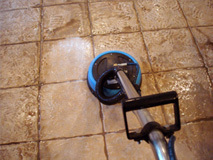 Exact prices will be given before any service is performed (except for water damages). Then we will perform a thorough cleaning on your carpet and furniture using the most updated processes and cleaning solutions, leaving your carpets and furniture clean and fresh. It may seem like a luxury to hire a professional carpet cleaning company. But for mere pennies a square foot, you can rest assured that the best care is being taken to provide you and your family the most professional and quality carpet cleaning service that you deserve. Because no one beats TRUST CARPET & TILE CLEANING when it comes to combining quality carpet cleaning service and value into a spectacular deal. You save money with us before you even hire us, thanks to our totally free no-obligation consultations.We will come to your home or place of business. Plus we offer a 30-day guarantee in addition to being licensed and insured for your peace of mind. That’s because we know how important your investments are to you. So no matter what your cleaning needs are, choose TRUST CARPET & TILE CLEANING for your next professional carpet cleaning or cleaning needs choose to get it done right the first time. Contact us today and we’ll help you work out the solution that’s right for you and your carpet cleaning or tile and grout cleaning needs. TRUST CARPET & TILE CLEANING has been Simi Valley and Thousands Oaks best carpet cleaning company for years, and there’s no reason for you to be left out! Get your free in-home consultation and no-obligation estimate today. Looking forward to hearing from you!